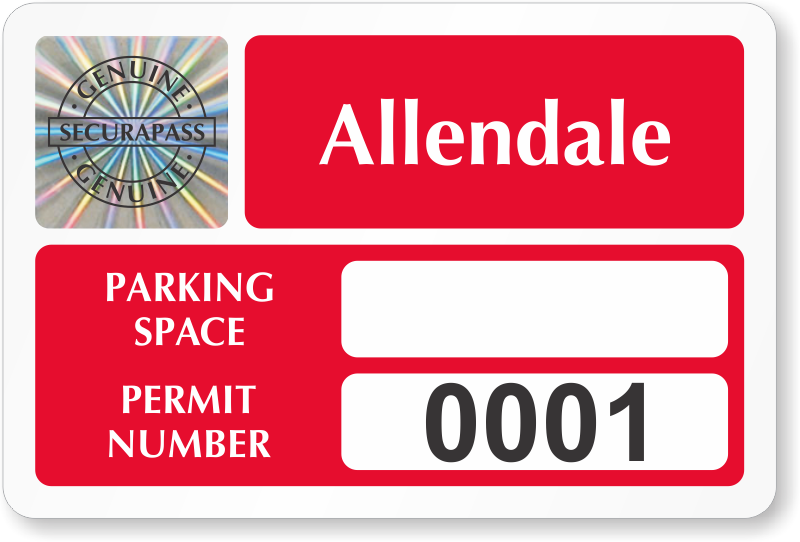 Never let anyone get by with a fake pass. 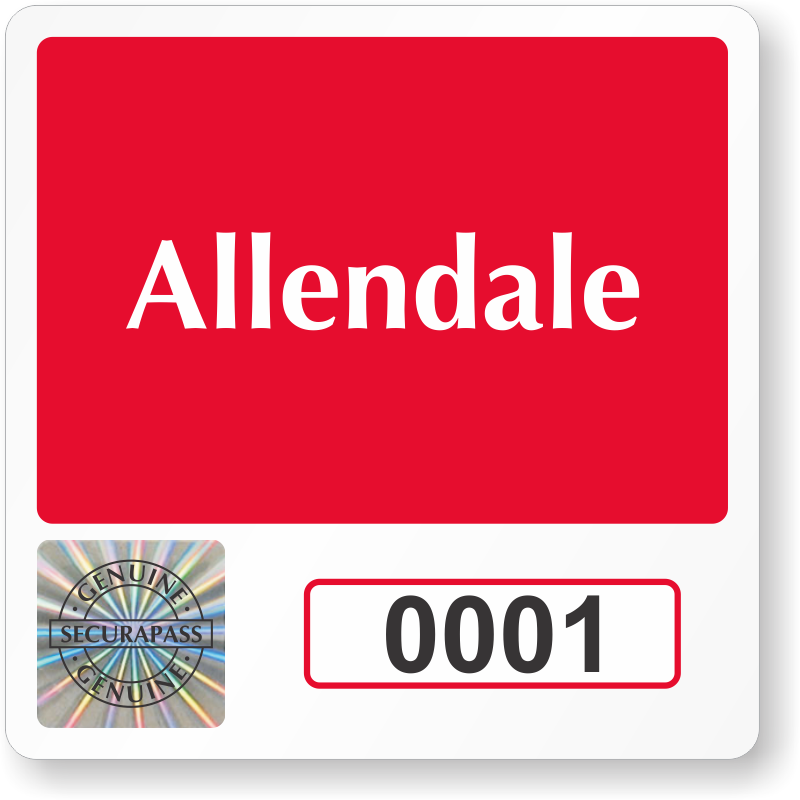 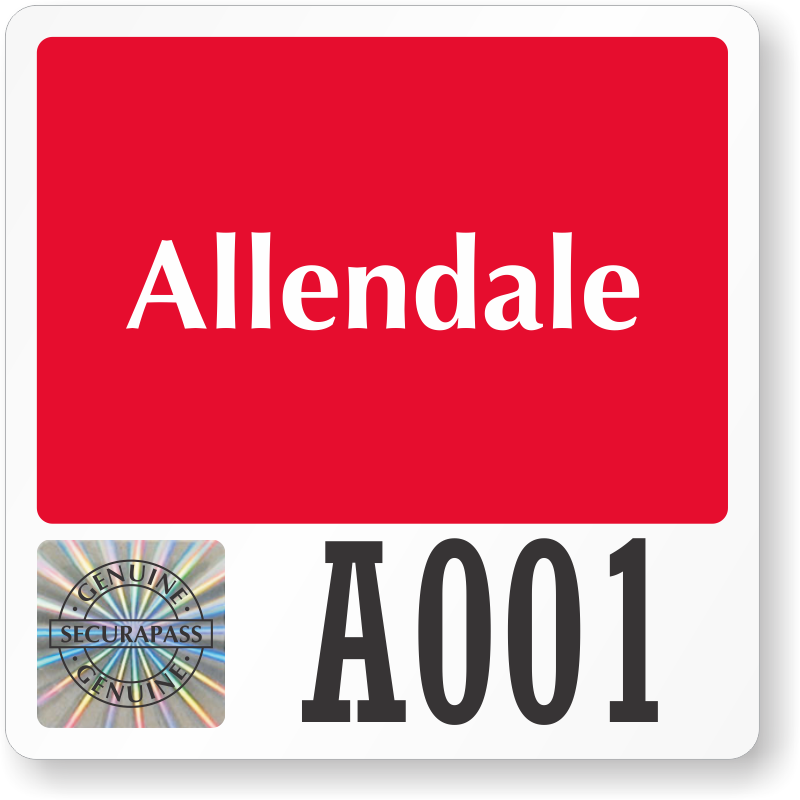 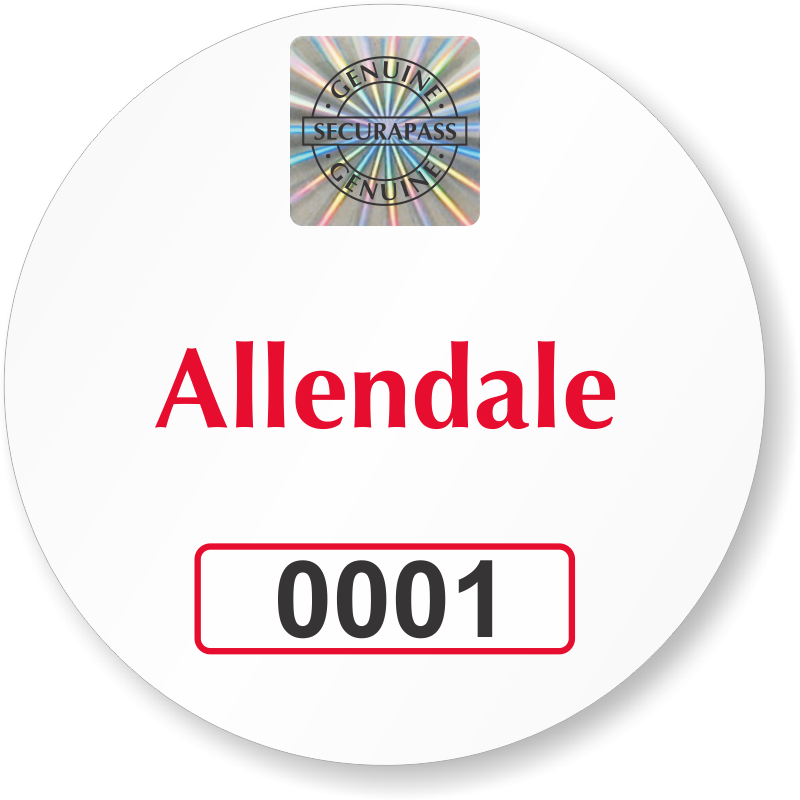 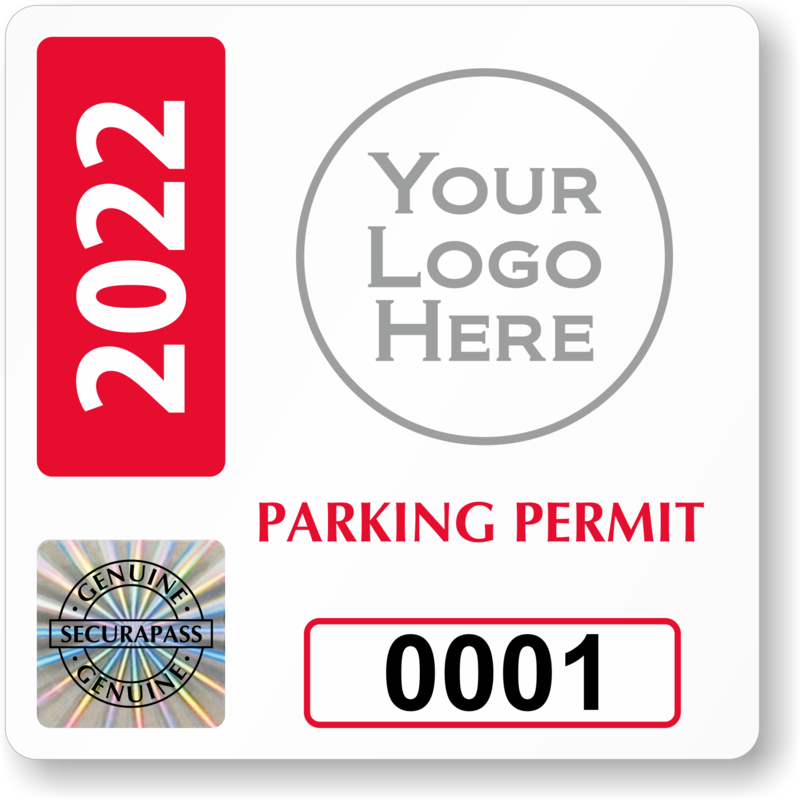 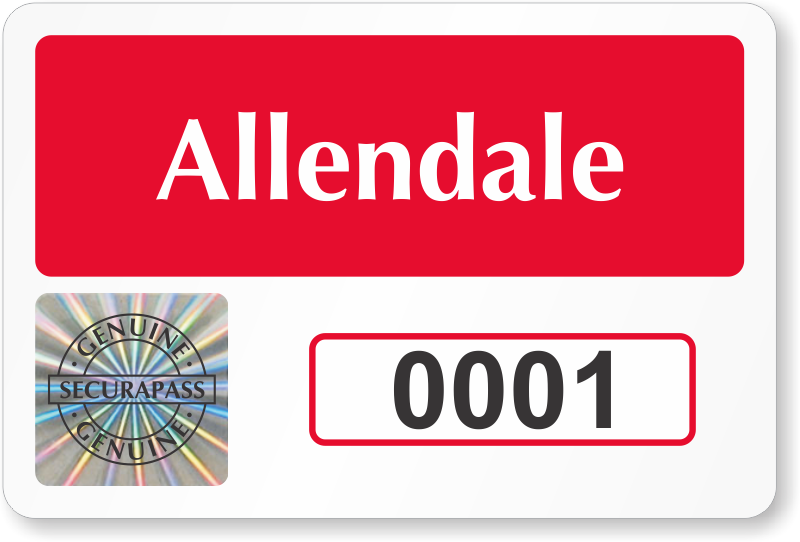 SecuraPass™ parking tags and decals incorporate important security features like no-copy backgrounds, unique numbering, and holograms. 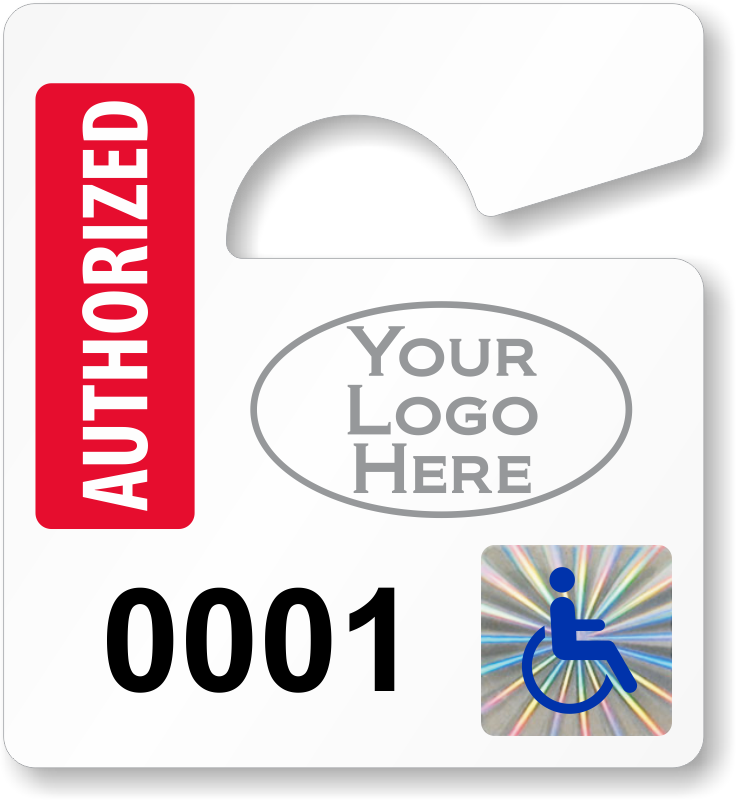 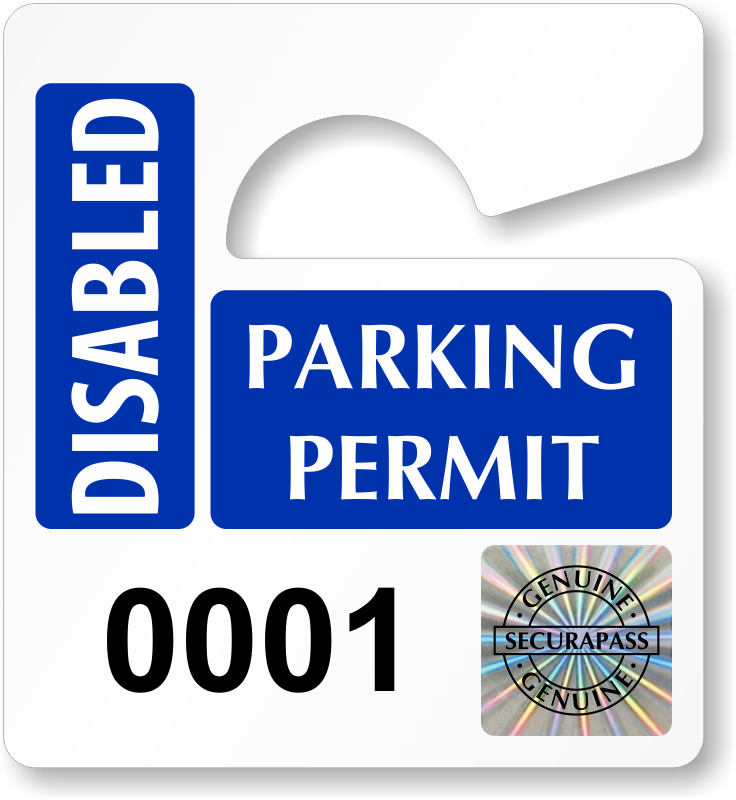 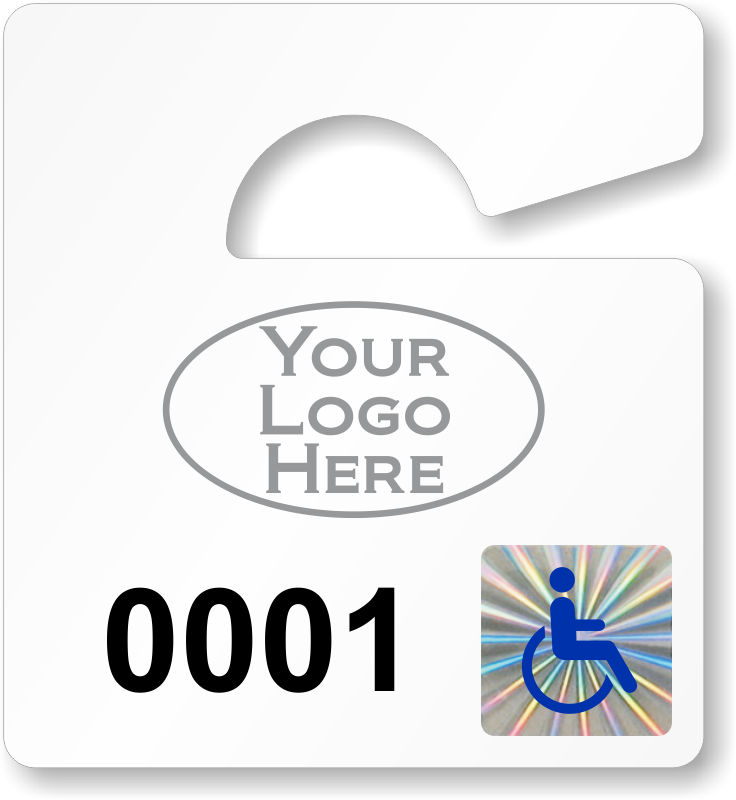 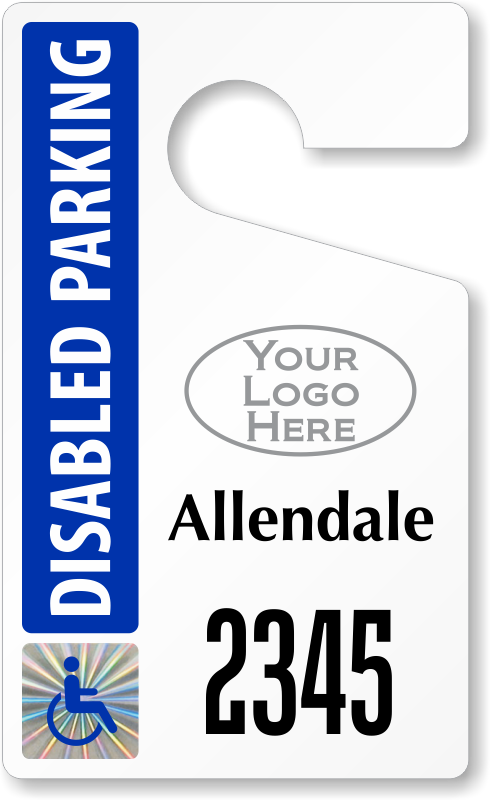 • Also used for certified accessible parking permits. 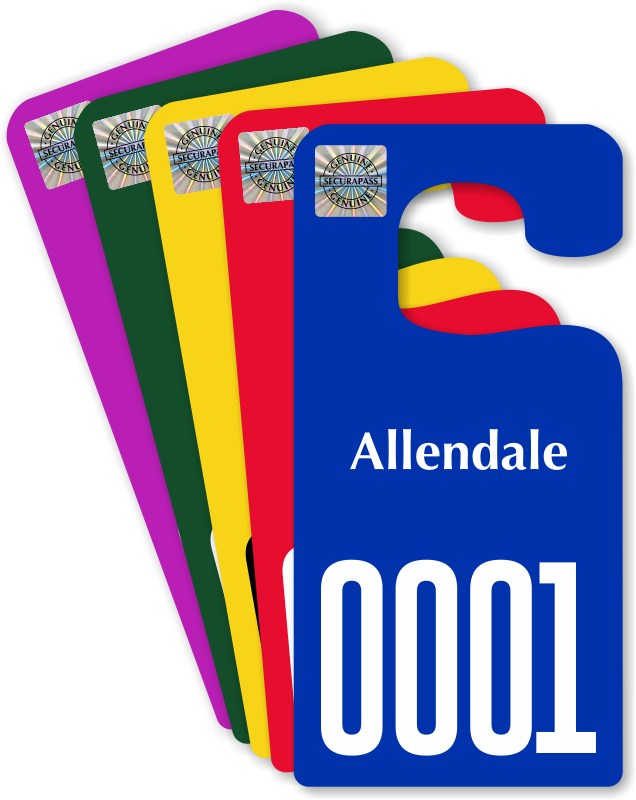 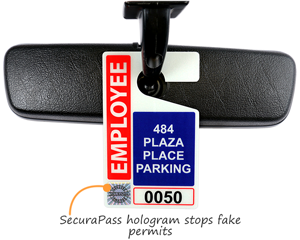 • Holograms are embedded within the parking permit hang tags, so they can't be removed or reused. 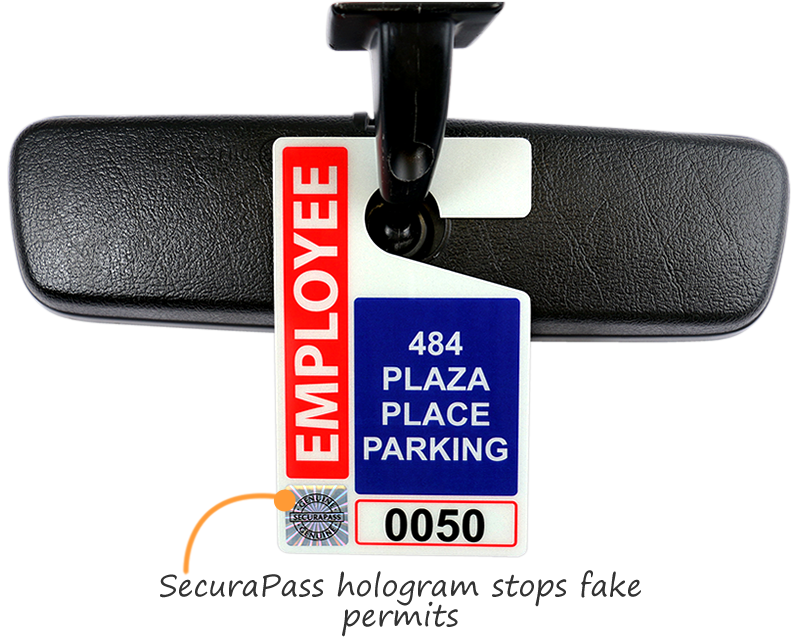 • For face-stick SecuraPass decals, the hologram is tamper-evident. 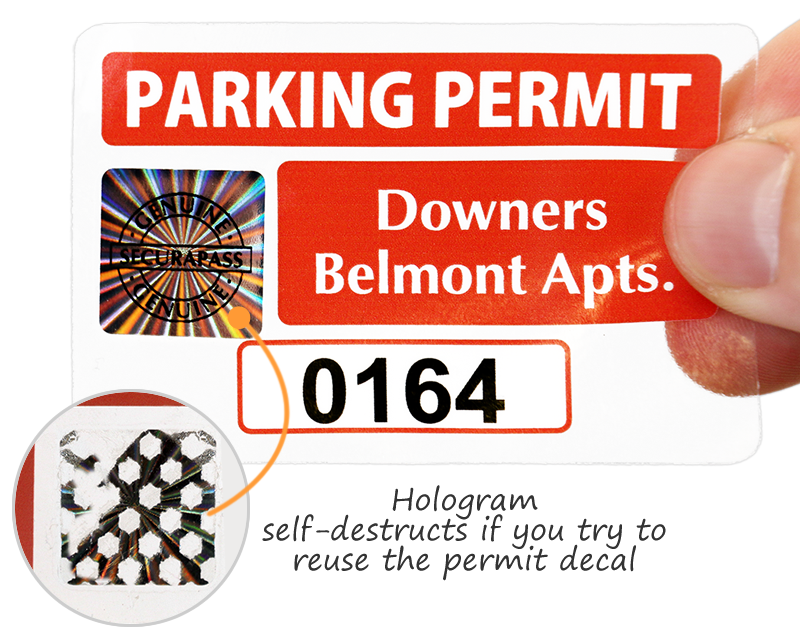 Trying to move the permit decal, causes the hologram to self-destruct. 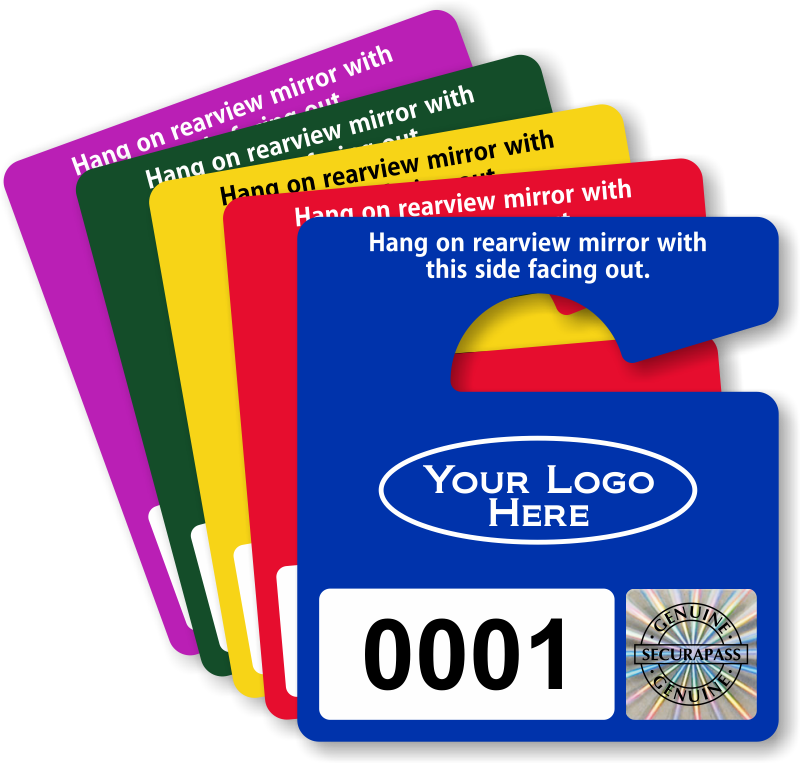 • Customization just takes a few minutes. 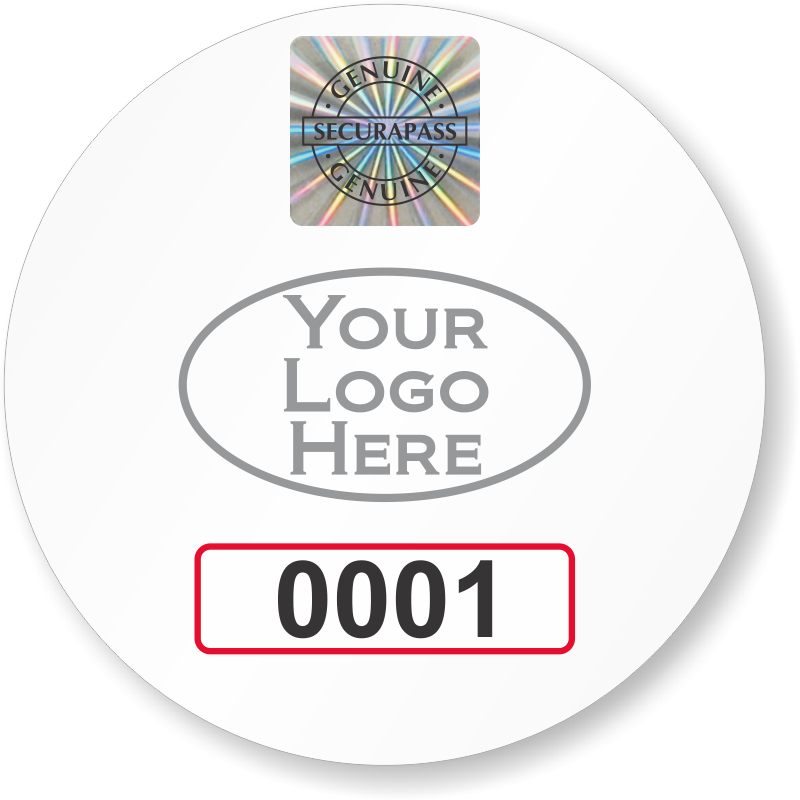 Upload your logo and choose a starting number. Random numbers embedded in a barcode makes it easy to foil counterfeit permits. 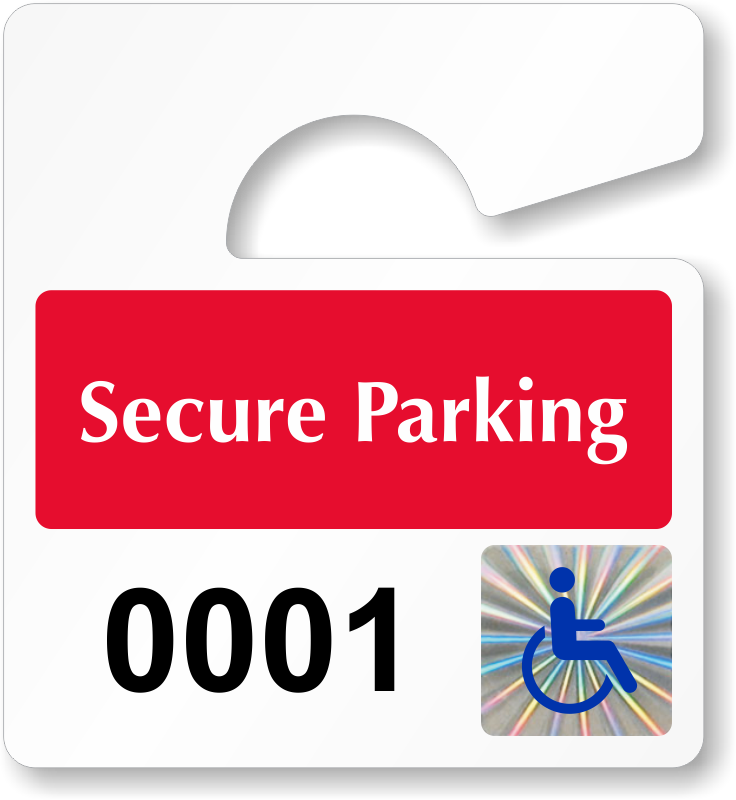 Tie each unique number to a particular license number for added security. 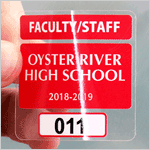 Customize any standard holographic template below. 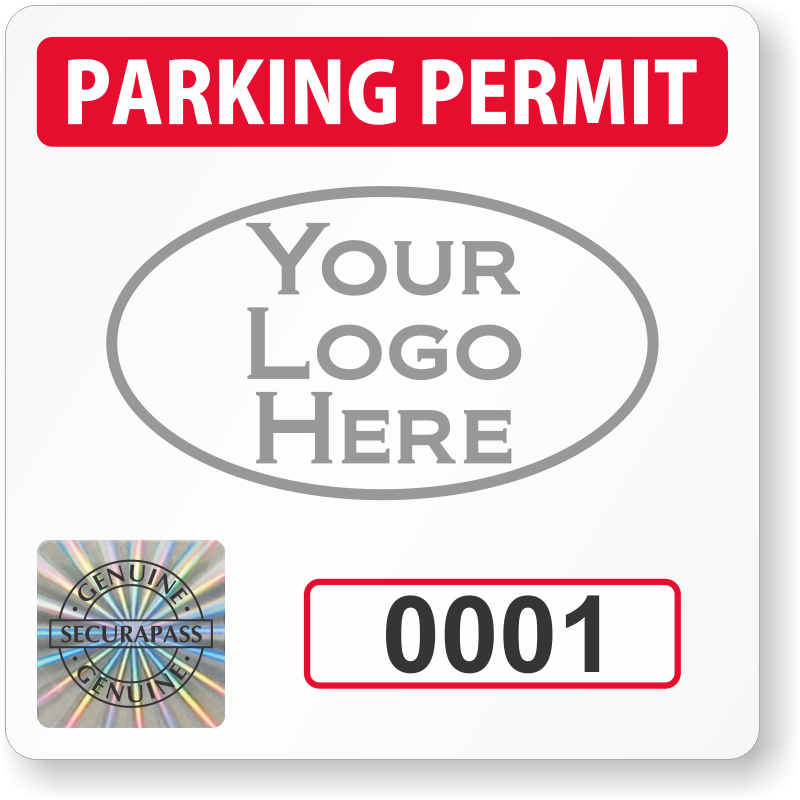 At the next screen, you can add custom text or a logo, change the color scheme and more! 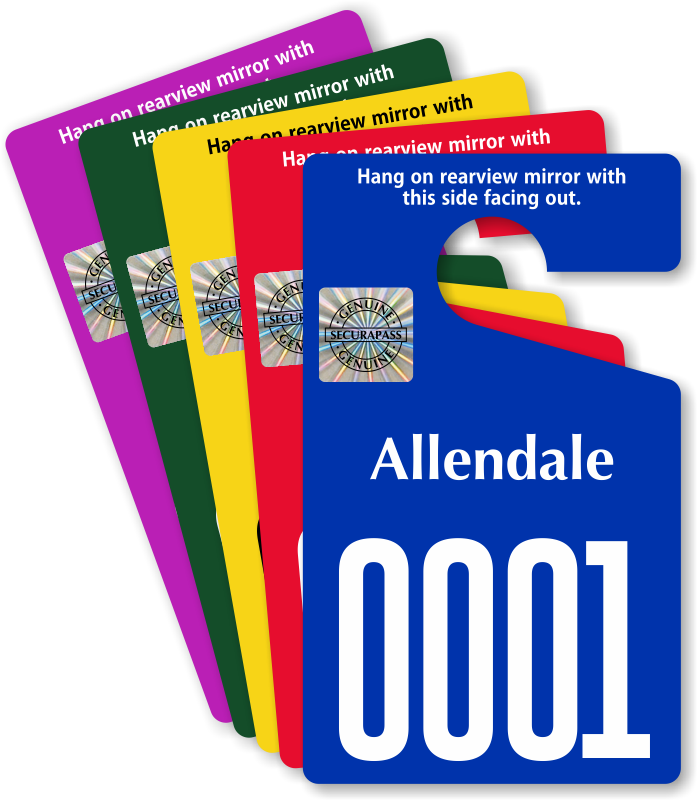 Pick any of these sizes and shapes to personalize. 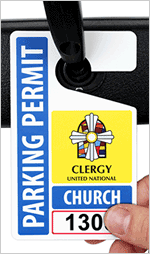 Choose between white or clear materials for inside the window or out. 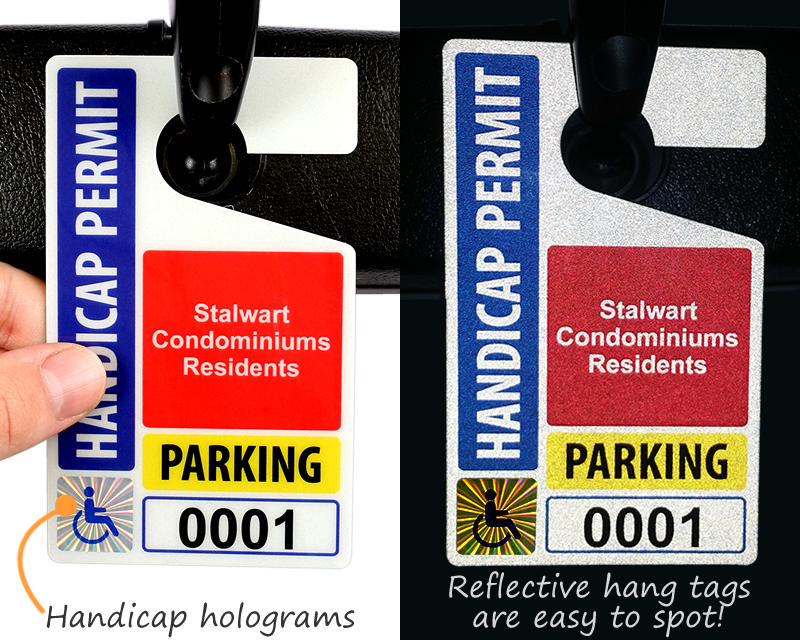 Get started with your miniature holographic permits by clicking on a sample template below. 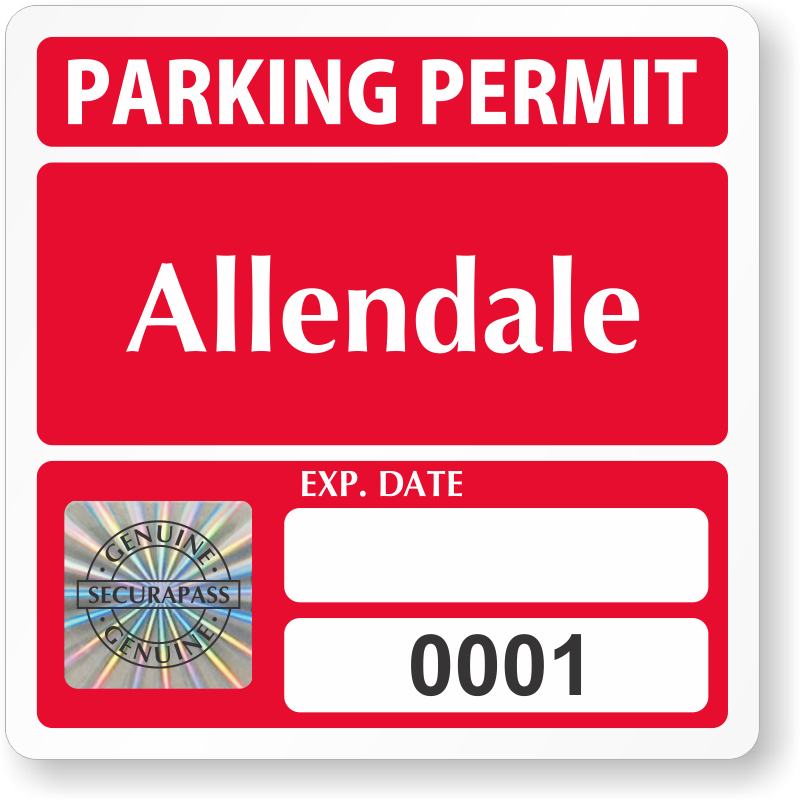 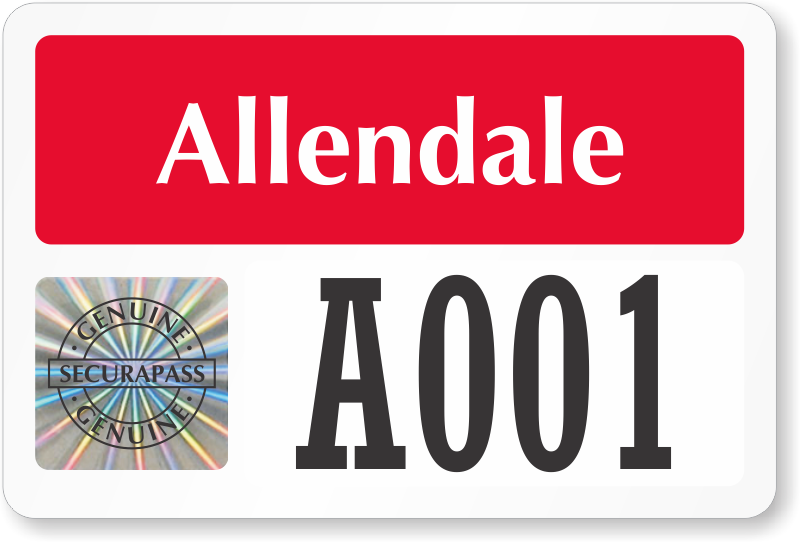 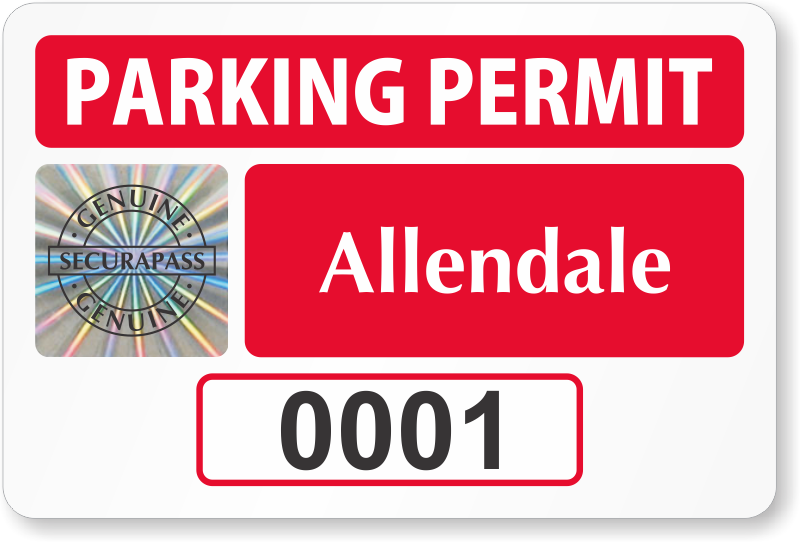 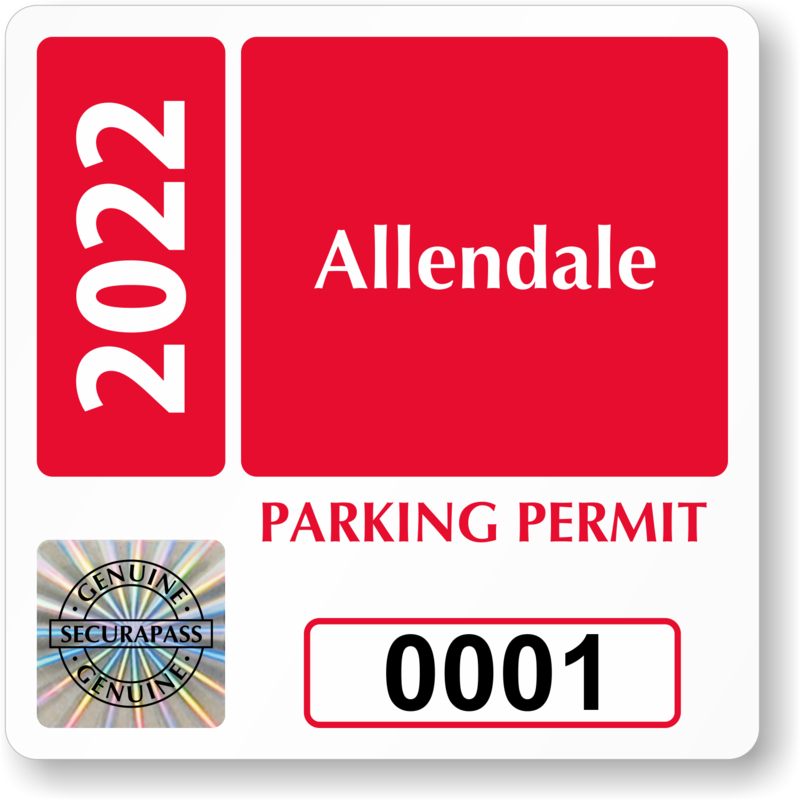 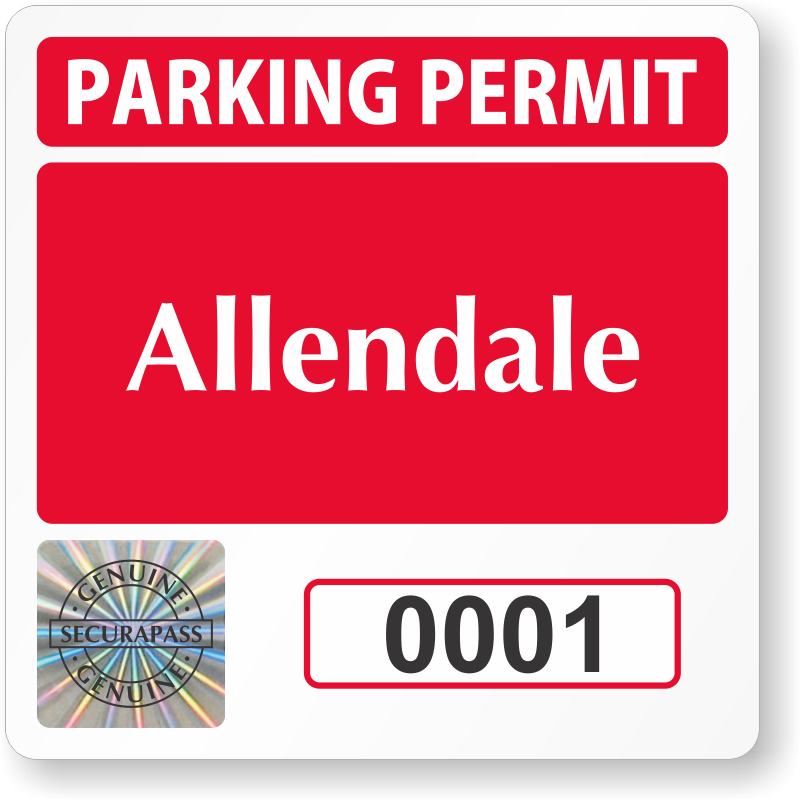 Add custom text, colors, and more to any of these templates for a perfect holographic parking permit. 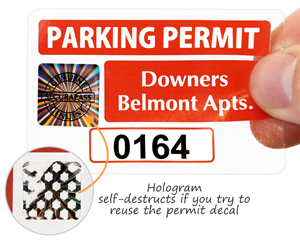 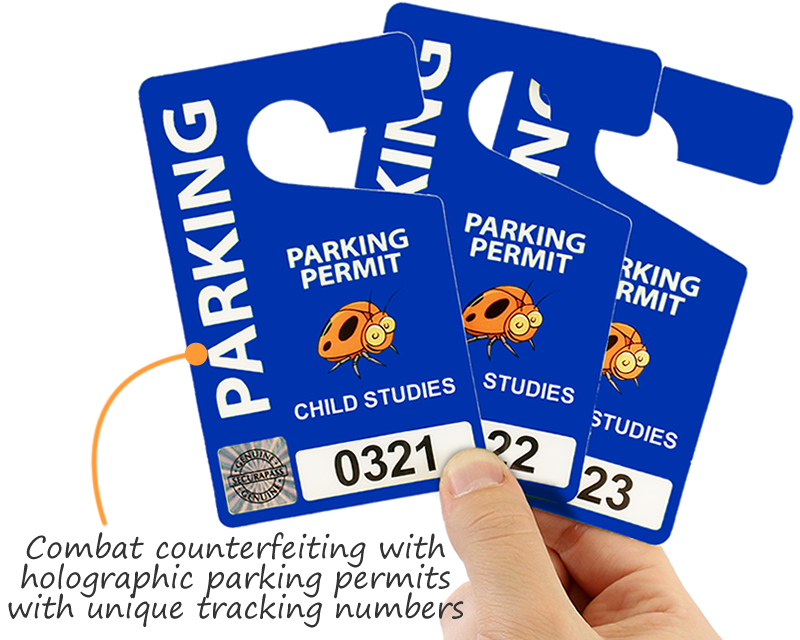 You need a secure, holographic parking permit that's easy to see. 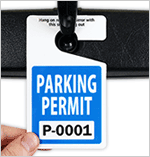 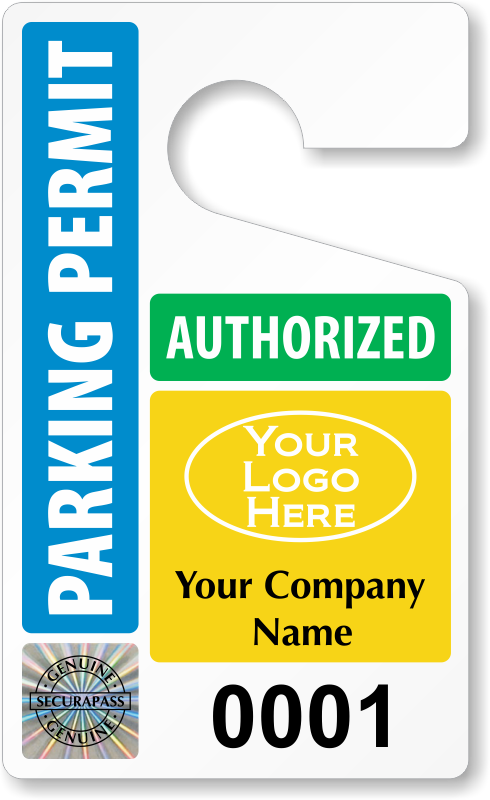 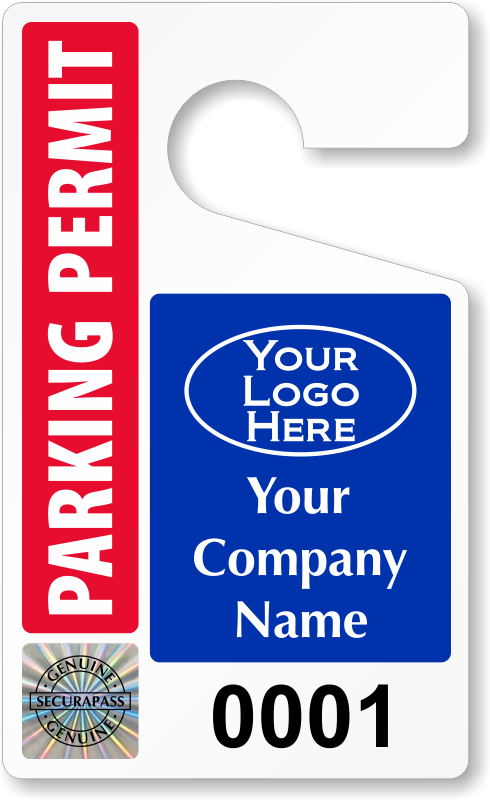 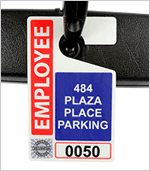 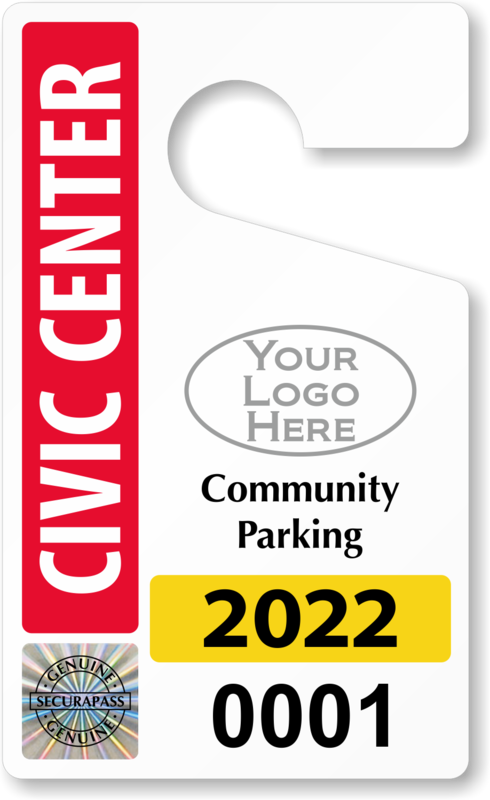 Our Jumbo Hang Tags make it simple to recognize and manage your parking area! 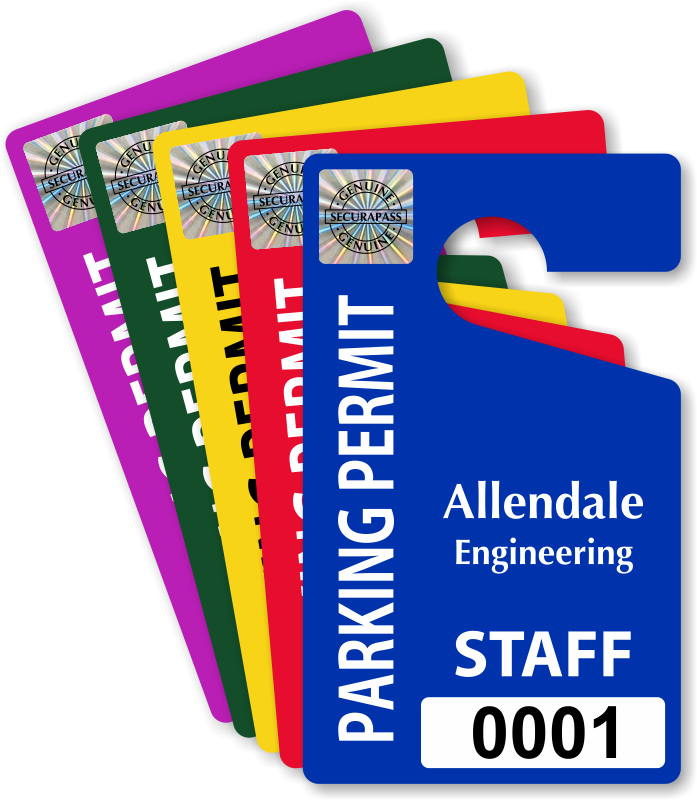 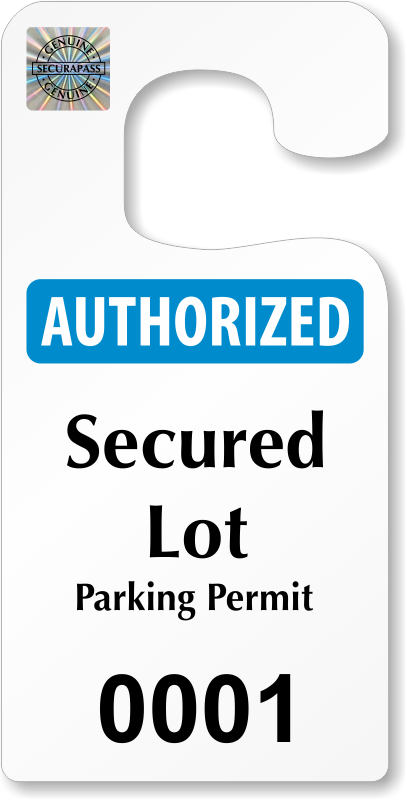 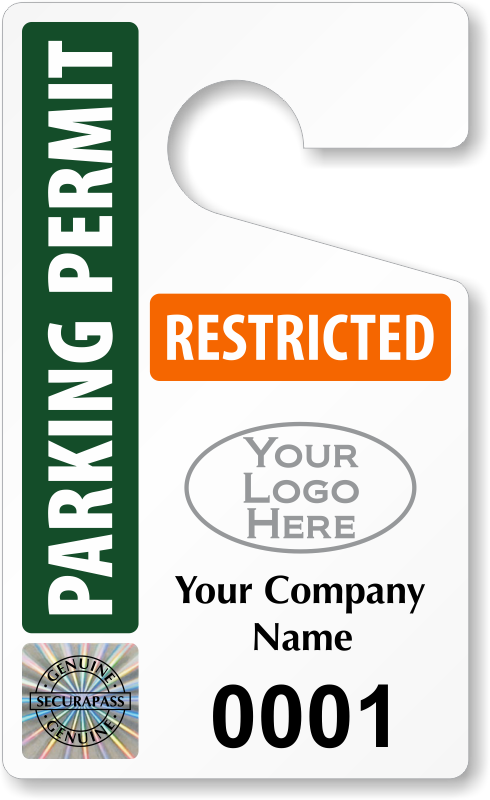 Accommodate your secure parking area with custom holographic parking permits. 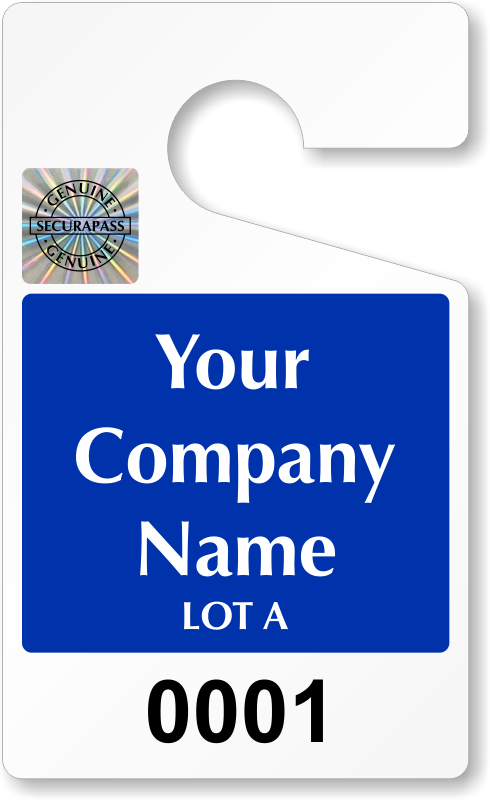 Your company name. 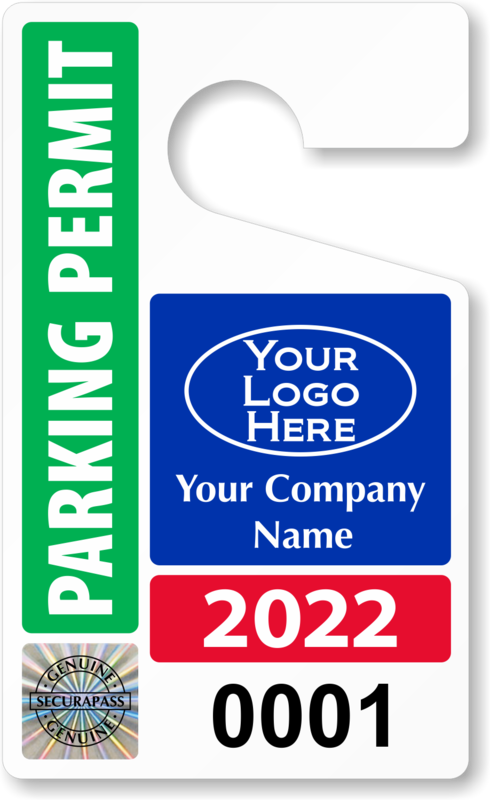 logo and colors will make parking lot regulation easy. 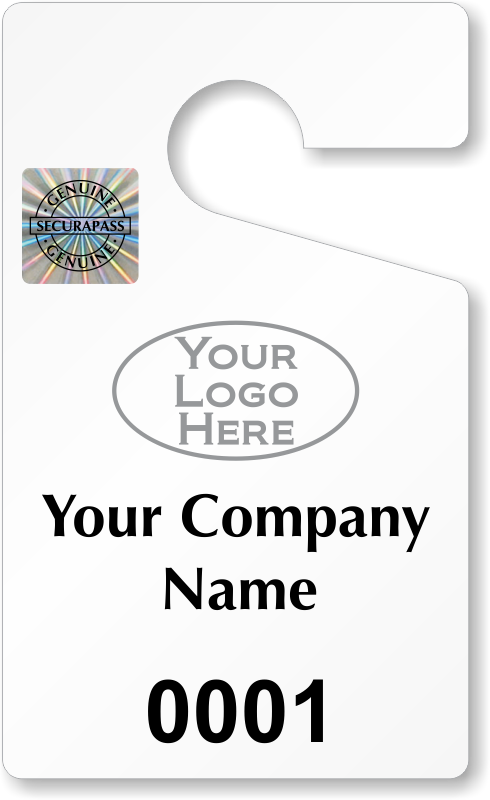 Click on any sample template below to get started.